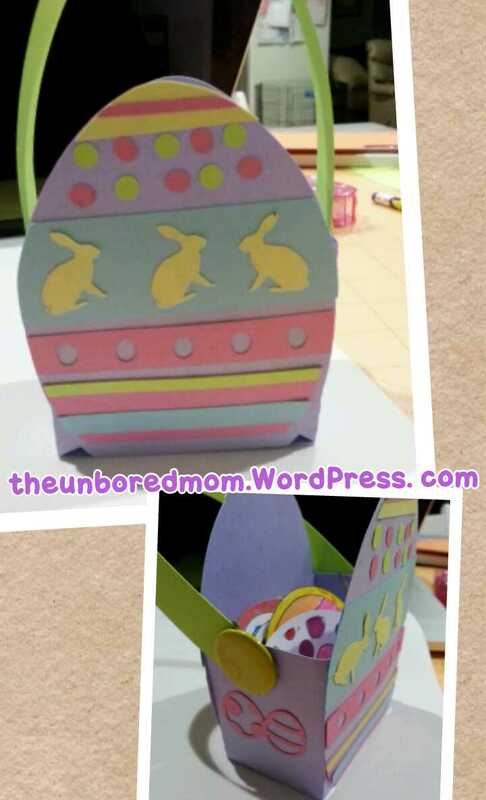 The Un-Bored Mom | Cooking, Crafts, DIY projects and other things that interest me. Hope they interest you too! Cooking, Crafts, DIY projects and other things that interest me. Hope they interest you too! 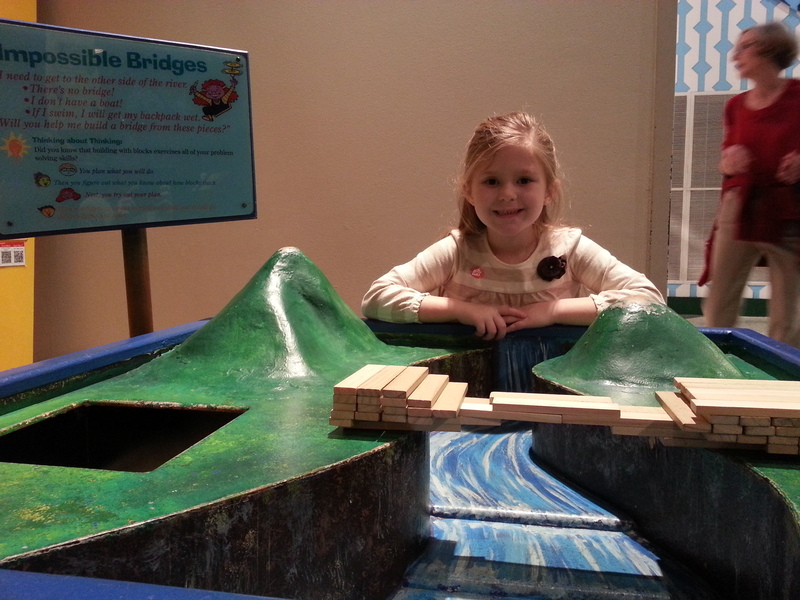 It’s been spring break here this week for our family and Friday I ventured out to the Children’s Museum of Houston with Lily. 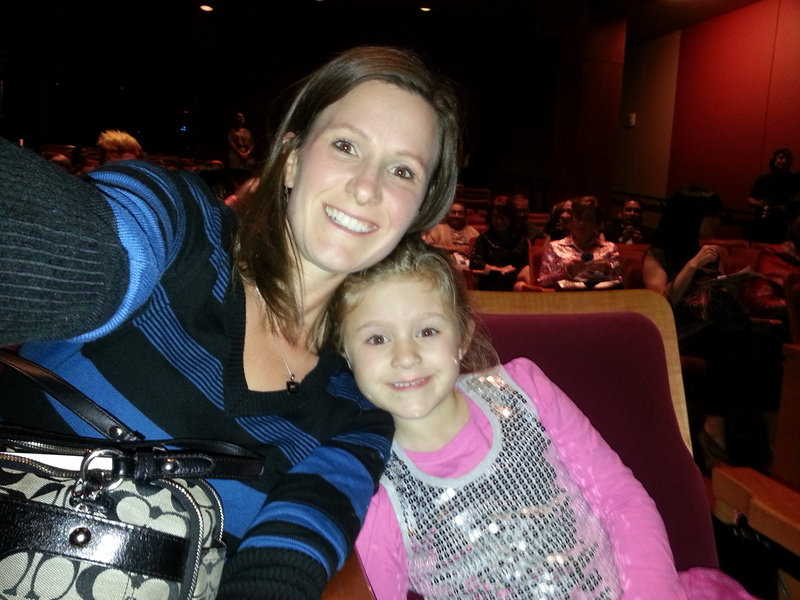 She had a blast, I on the other hand was ready to go as soon as we got there. I know that sounds awful, but if you have ever been there you know its a really nice museum for kids with lots to do, see, touch, feel, play with and throw in the air; as for adults it’s loud, dirty, cramped, and full of kids running around unmanned. It’s almost like the moment they enter the front doors the parents just throw their hands up the air, put in ear plugs and close their eyes to what their children are doing. Not all of them, but WAY TOO MANY of them. Maybe I’m trying too hard or maybe it’s the science teacher in me, but I like to try to read the directions for the activities or the explanations for the whatever we are looking at to Lily so she just maybe, perhaps learns just a smidgen of something while we are there. I also don’t let her cut in line, push other children out of the way, step on their toes and/or wedge herself between others and the displays. I can not count how many times we were trying to look at/do something and other children would come and destroy what we were building or “help” or just push her out of the way. Lily is no pushover so she would say very loudly “Hey! I was there first!” and then take back whatever she had (taking into account the age of the child of course) so we could continue to “learn.” Don’t get me wrong I’m all for free exploration and fun, but not at the expense of someone else’s enjoyment…just saying. 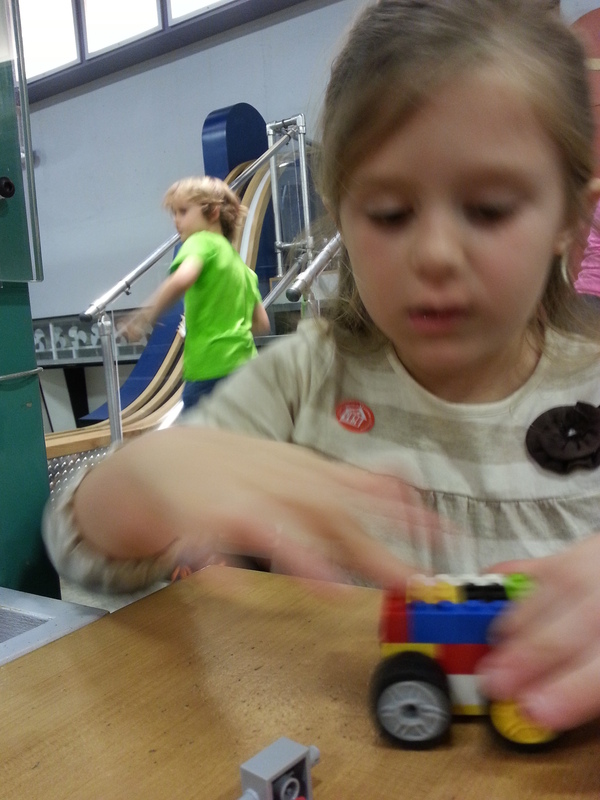 Lily redesigning a lego car she tested on the ramp that failed miserably. I should also mention that we were at the museum last Saturday for a dance performance that my oldest was part of with her dance team from Planet Funk Academy. So I guess 2x in one week was a little more than I needed…lol. But we only stayed 3 hours last weekend and I promised that I would bring Lily back later in the week. Anyways after 41/2 hours and a successful “Coconut Climb” we left to get some late lunch/early dinner and then headed home. 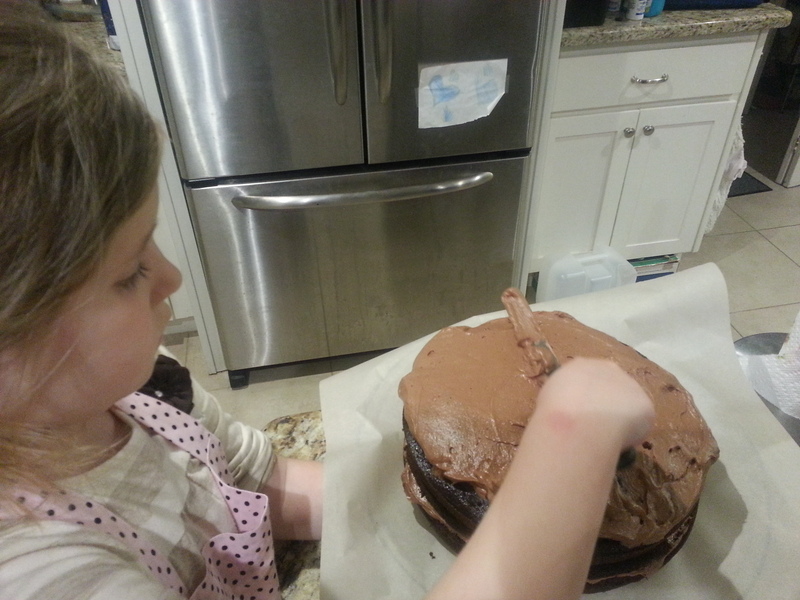 On the way home I thought about what I could do to relax and keep Lily busy at the same time…bake and craft….that always does the trick. 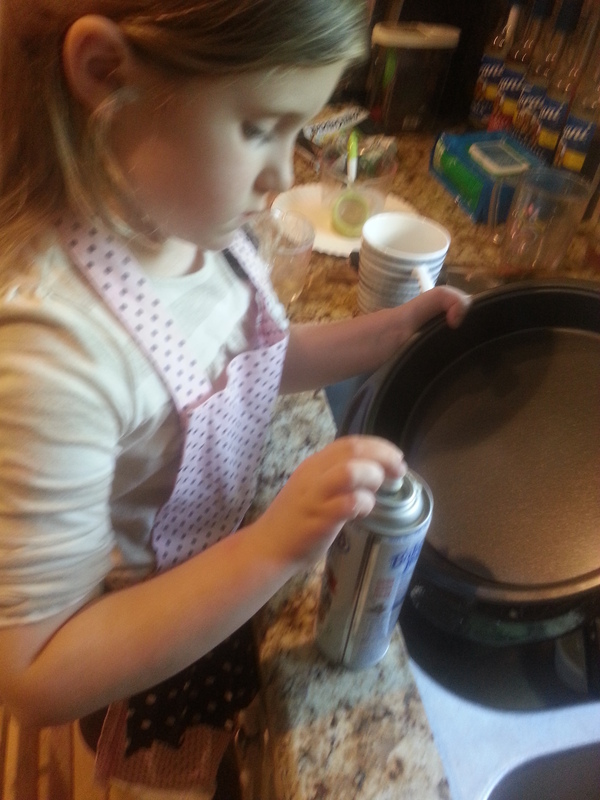 attempting to spray the pan…. Once the cake was done and we had each had a piece it was time for a quick visit to Gma and Papa’s house to deliver some cake to them and say our farewells to gma’s friend that had been visiting from Turkey, Sudiye (Sue-dee-yay). Lily conspired with Gma and Sudiye to convince me to let her stay the night so home I went sans one kid. 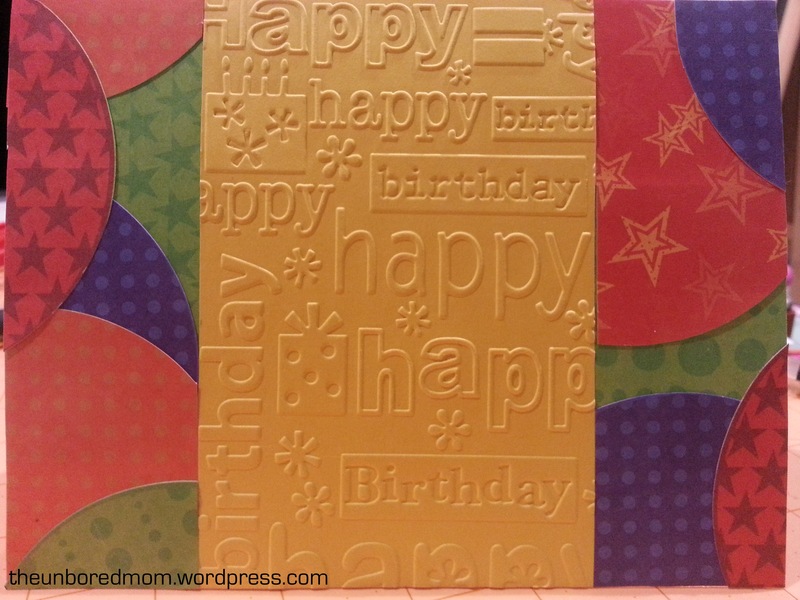 Once home and showered, I decided to do some card making. I visited a few of my favorite blogs beforehand to get inspired because my brain was not cooperating. 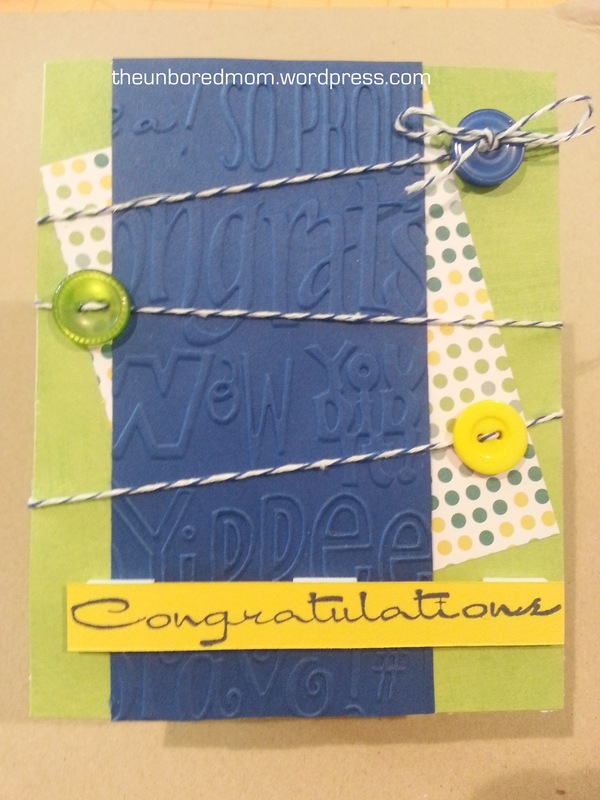 I came across the Simon Says Stamp Challenge for the week and used their sketches to help me use up some of my scraps. Click here to see the sketches. This one is just using what paper was still leftover. These cards are all pretty small. They are 4 1/4 in x 5 1/2 in. 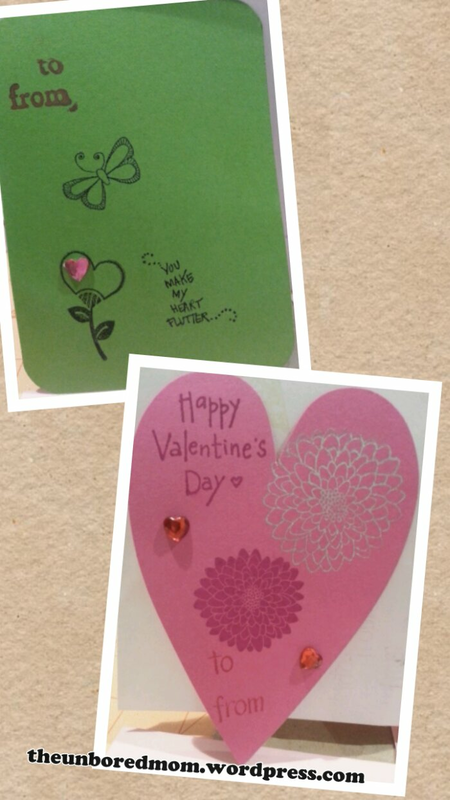 I used up the leftover papers from the card I made my brother the other day. The supplies: Recollections card stock from Michaels, buttons I’ve had lying around, baker’s twine and I repurposed some very boring/plain white thank you cards as the card base. 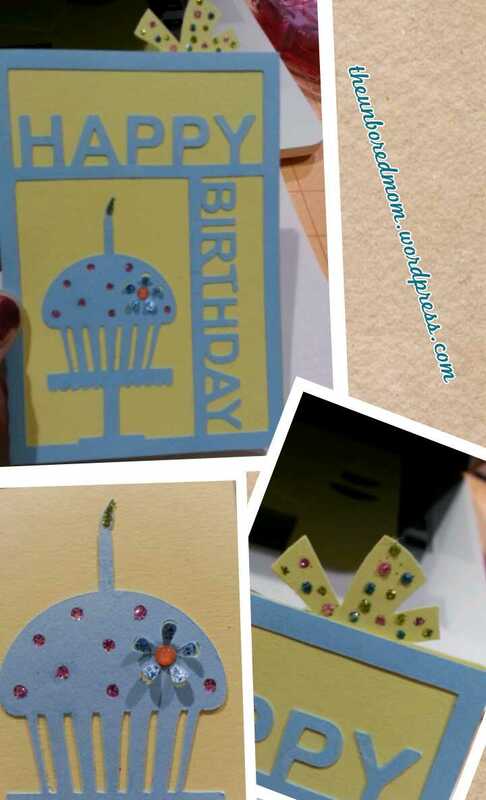 So my husband has decided that I am addicted to making cards. Right now our daughters and him are watching a movie and I am sitting at my craft table NOT watching the movie. He rented some movie that a friend said was really good and I’m just not in the mood. Granted lately, I will admit, I have been spending a great deal of time at the crafting table. In my defense I just organized the closet/craft table area in December and now I can craft to my heart’s content without having to drag all the tubs/bins/boxes out of the hall closet, use the counter/table where we eat as my surface, and them pack everything back up to put it back in the closet. I almost never did anything because it was such a hassle. 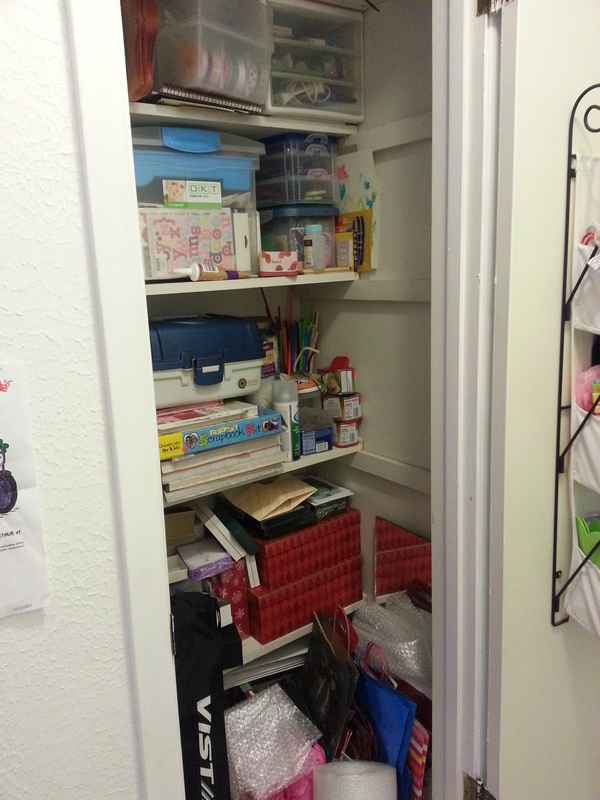 My hall closet/craft storage before …. 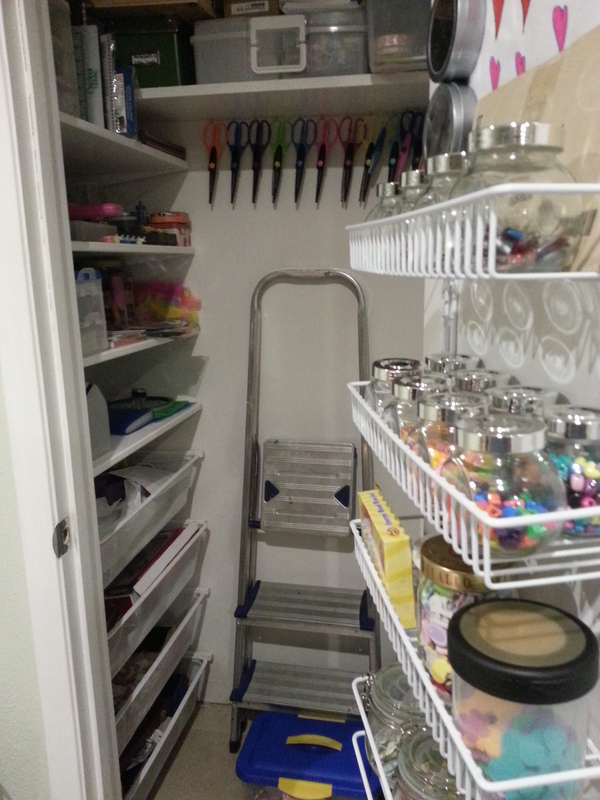 The closet that now holds my craft stuff…. 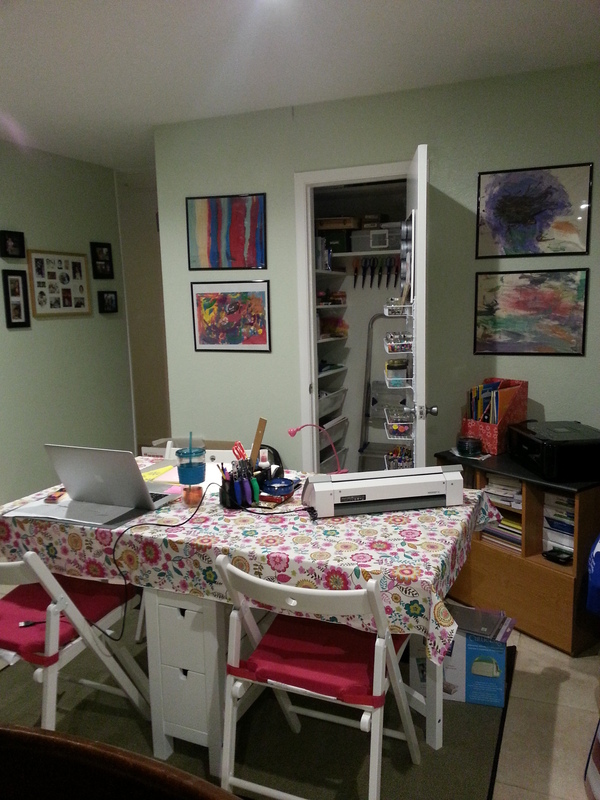 The “crafting only” table and closet that used to be a dining room/breakfast table area. This went to a friend of the family. Sent this one to my little brother to tell him how proud of him I am that he will be graduating from college in just a few short weeks. I made another card and sent to a friend that lives far away, but I forgot to take a photo before I sealed it in it’s envelope…sorry. 😦 It too had a U.S. cutout, but it had hearts and a little tiny airplane with what was supposed to look like sky-writing behind it that said “thinking of you.” Really cute! My friend will love it. 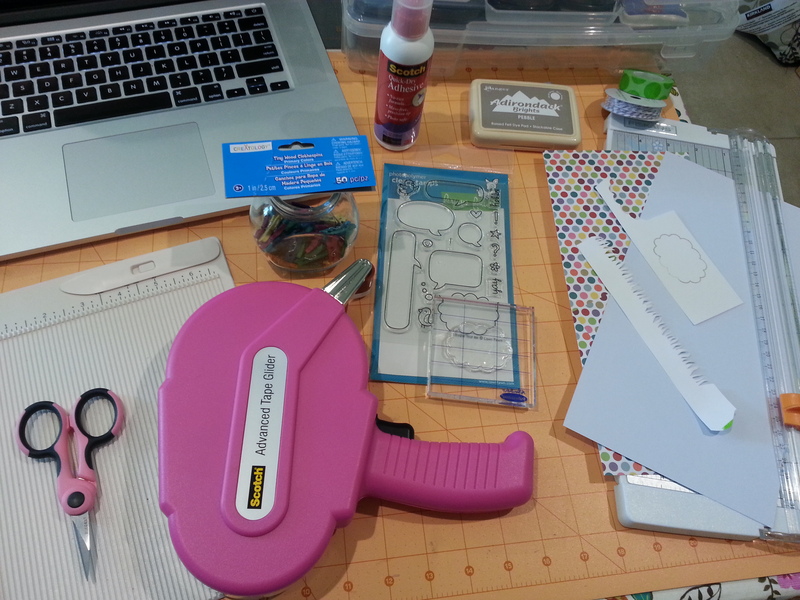 As for the list of supplies—– paper, glue, time and energy….lol. I am too lazy to list everything. If you really must know about one detail or another leave me a comment and I will gladly share the goods. What else have I been up to you ask, well, I was doing some “pinning” the other day on Pinterest and came across a blog written by a woman named Rachel. 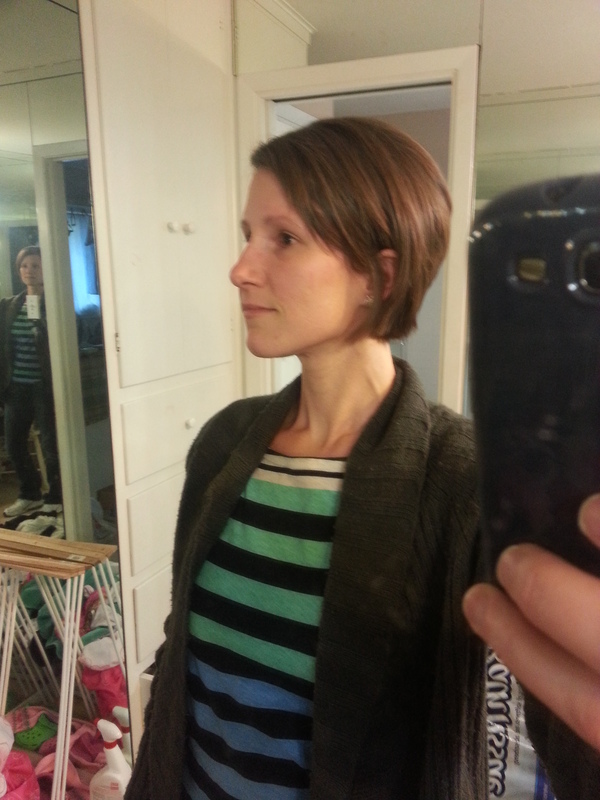 Her blog is http://www.maybematilda.com and I was inspired to cut my hair. I had long hair, not super model long, but my ponytail was probably a good 6 – 8 inches long (I had some layering). I had been toying around with the idea of a major haircut for a while, but always chickened out. 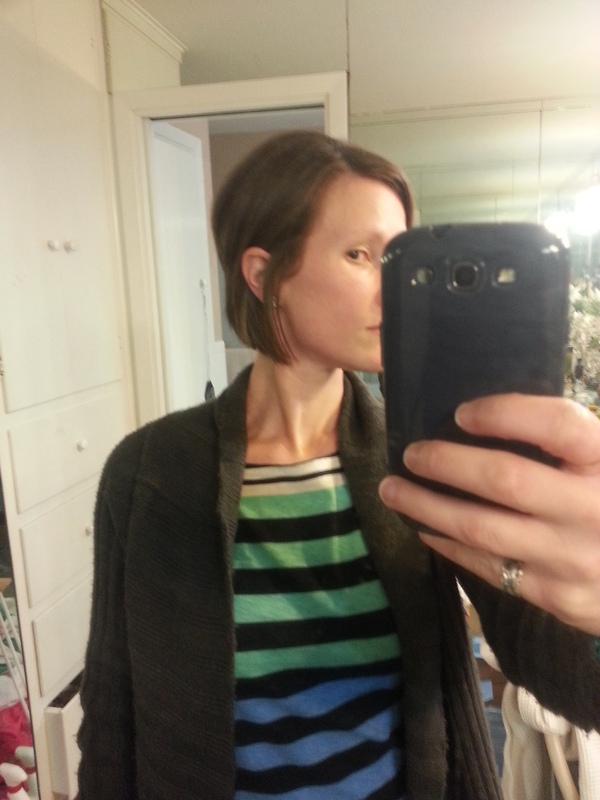 Monday I took my girls out for breakfast…I LOVE being on SPRING BREAK…and was talking to my oldest, Alex, about the blog and the authors experiences with getting a pixie cut then trying to grow it out. Alex told me to stop being a weenie and go get it cut…”Uh, it’s only hair mom,” she said with an exaggerated exhale (i just love teenagers. Don’t you?) So before I could weenie out I called and made an appointment. At said appointment time I explained what I wanted, showed pictures and then closed my eyes (and crossed my fingers…lol). I love it!!! I may even have to try a bit shorter next time. Hope you are having a great week. Happy Tuesday!! Man this has been a pretty great day and I love those kinda days. This morning I saw an email that a fellow blogger had commented on my post from last night and so I did what any good blogger does; I went and checked out their blog. I was taken here where I read some pretty interesting posts about the couples adventures in Korea after a month or so, as well as being treated to pictures of some really neat cards. One of the cutest ones had these origami dresses on the front and I thought they were perfect for a baby shower card or a “congrats on your new baby” card. I kept scrolling down skimming through other posts, reading bits here and there when lo an behold she gave a tutorial on making the dresses! Let me just say THANKS Amber! This is one design element I can see myself using many times. 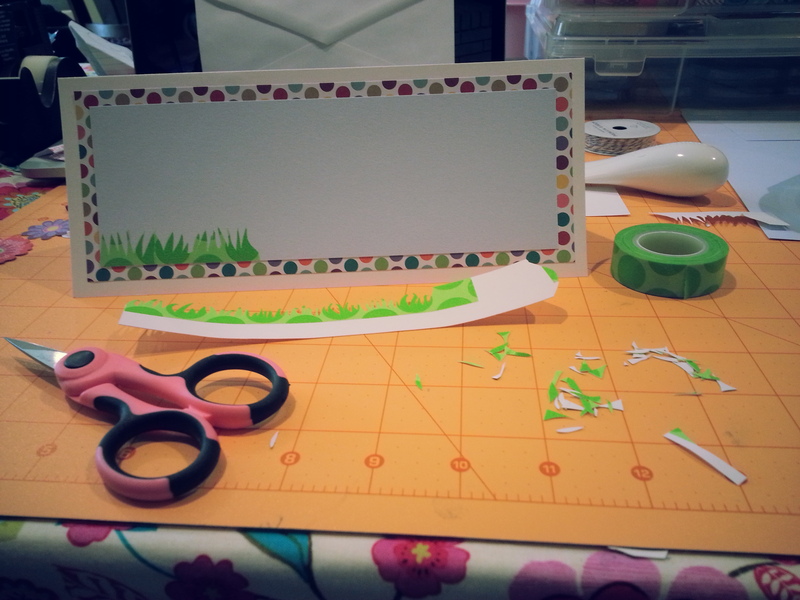 I immediately went into crazy craft lady mode and got to work. The tutorial for the folding was spot on and I had 3 cute little dresses done in no time. Next the decisions about what background to use, other elements/colors and card size. 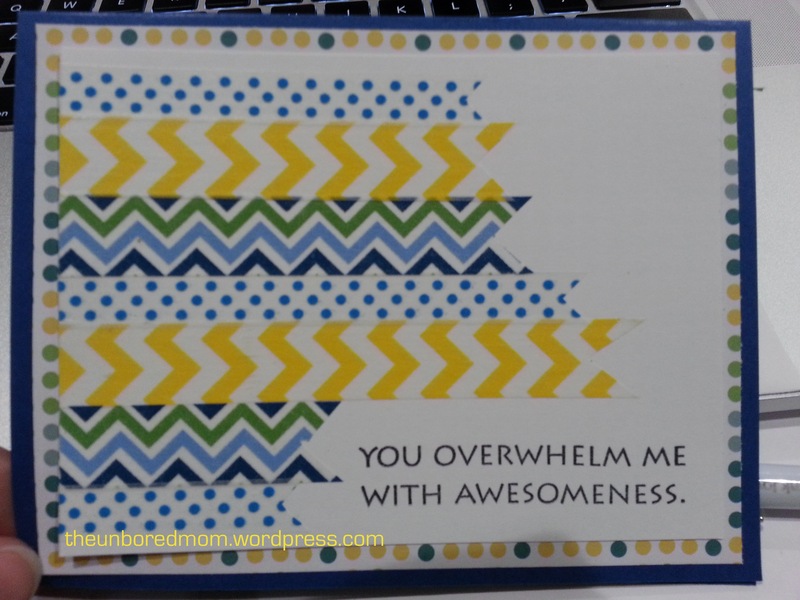 I decided to go with the size from the original inspiration card, but since I know who I am sending this to I wanted to personalize it a bit with colors (plus put my own spin on the original design). 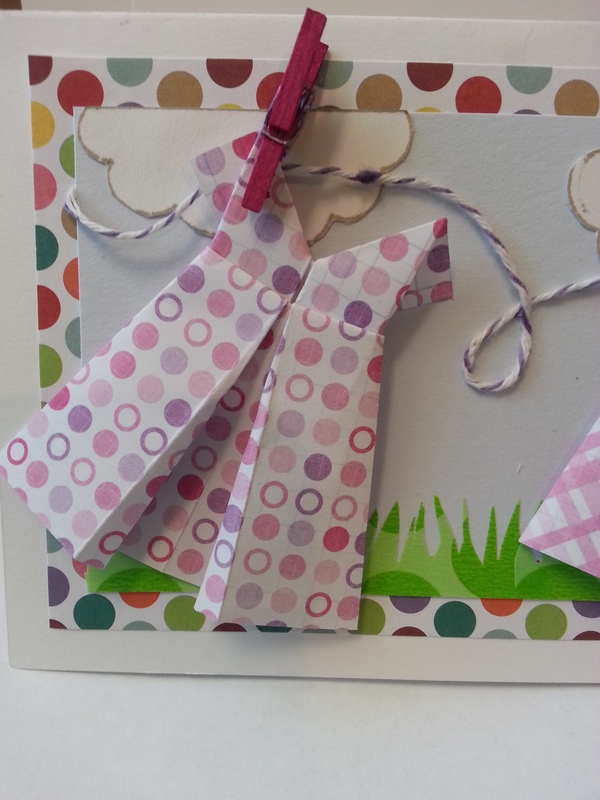 I got to work making clouds using a speech bubble stamp from the Lawn Fawn’s Little Birdie Told Me set and a pair of good scissors. 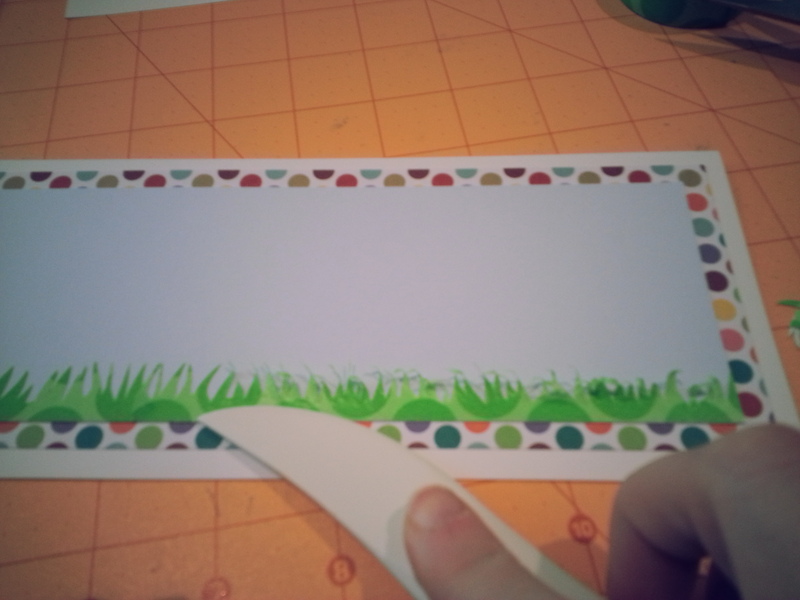 Then added grass by cutting green polka dot washi tape into – tedious– grass like shapes (I included pics so you could maybe feel my pain…lol). 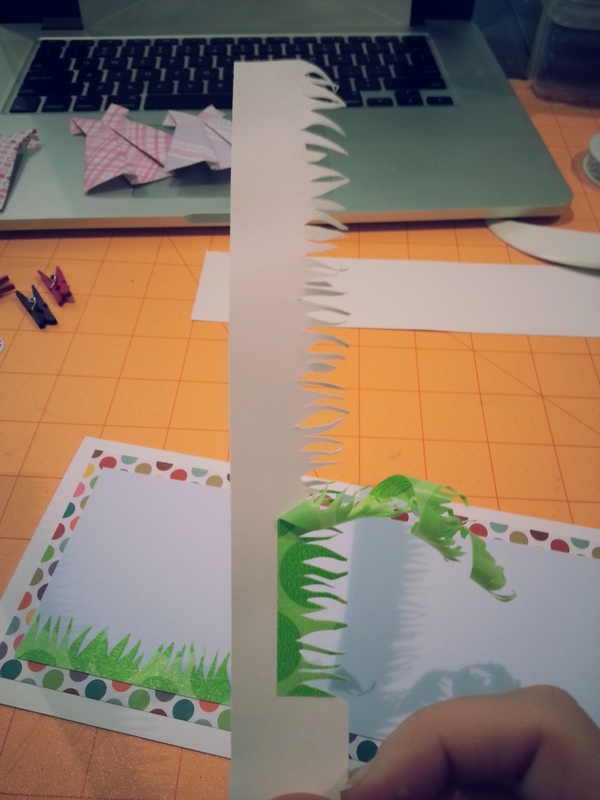 I lightly stuck the tape to a scrap of white card stock so I could handle it easier. 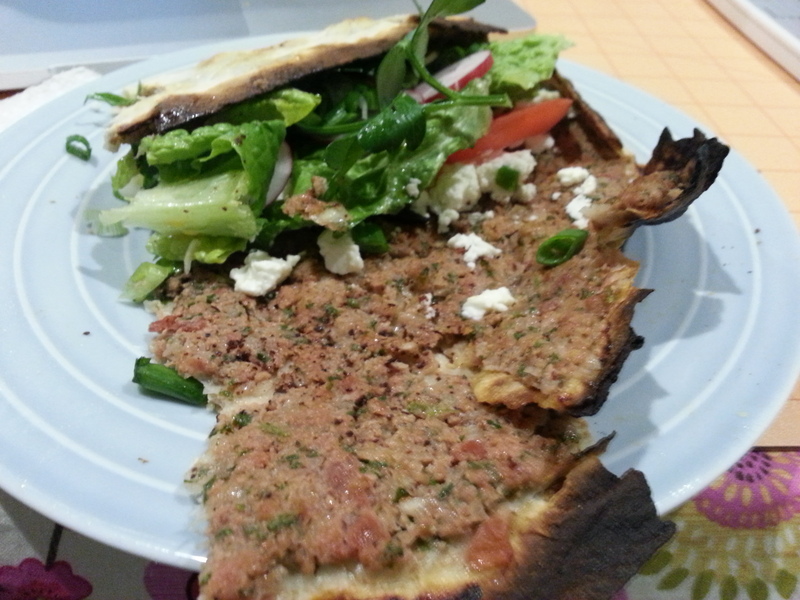 My husband is Turkish and I have come to love many different turkish foods, but one yummy dish always gets me excited for dinner – Lahmacun, or Turkish Pizza as we have come to call it. As a born and bread American I love pizza and over the last 10 years I have branched out to try many different types of interesting ingredients. I have had mexican style pizza with fajita beef, tomatillo sauce and jalapeños, greek with spinach, feta, and olives and even asian style with sriracha, soy sauce and shrimps. When I married Chad I wasn’t a big fan of trying new foods, but after years of watching him scarf down all sorts of different things I have come to love almost everything…no curry..eww…sorry. 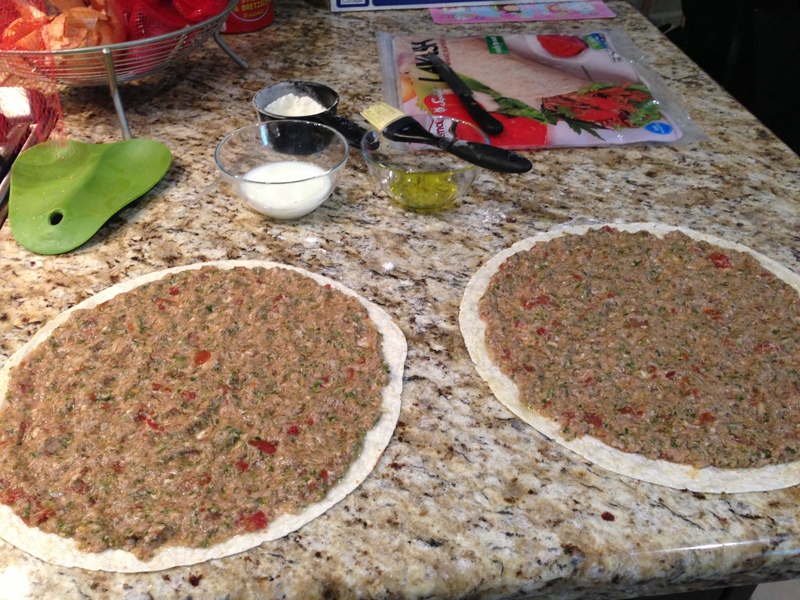 Today we decided to make Lahmacun (pronounced Lah-ma-june) and I thought I would share it with all (12 🙂 ) of you who read my little blog. Then start your oven to 500 degrees and put the meat aside to let the flavors meld. Slice your toppings and set aside. Once your meat has rested for 10-15 minutes and your oven is good and hot make a space on the counter to assemble the pizzas. Brush the center of each flatbread with milk (why I don’t know, but this is what he does) and the edge lightly with oil. 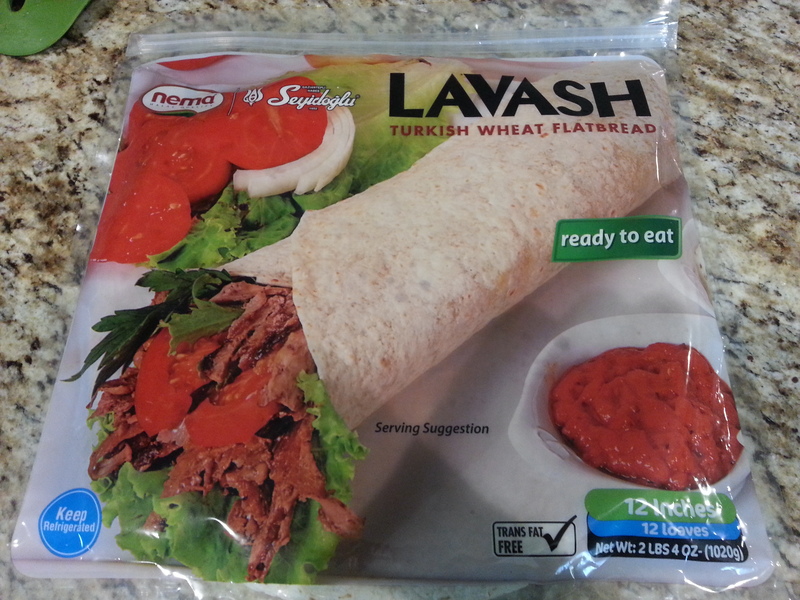 Found this at the import market the other day, but flour tortillas work well too. 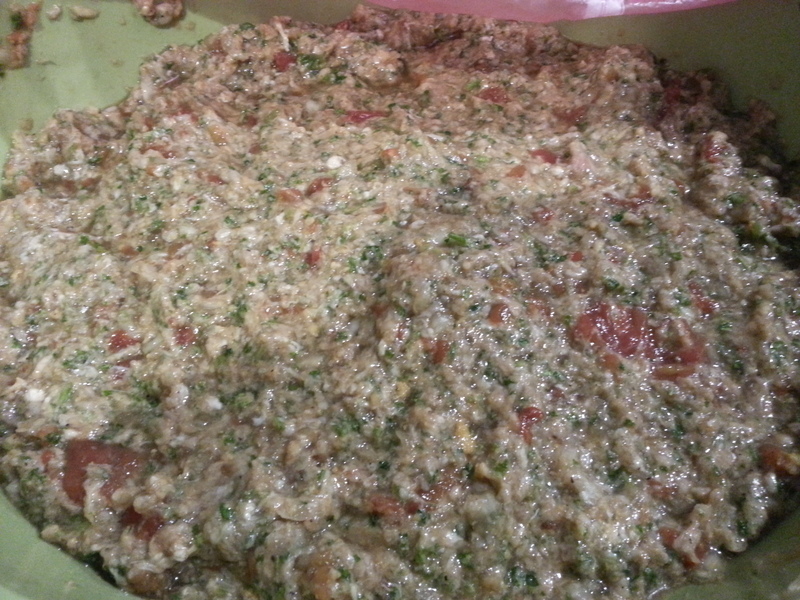 Place a good handful of the meat mixture in the center and spread around. You want the meat layer to be about 1/4 of an inch thick. 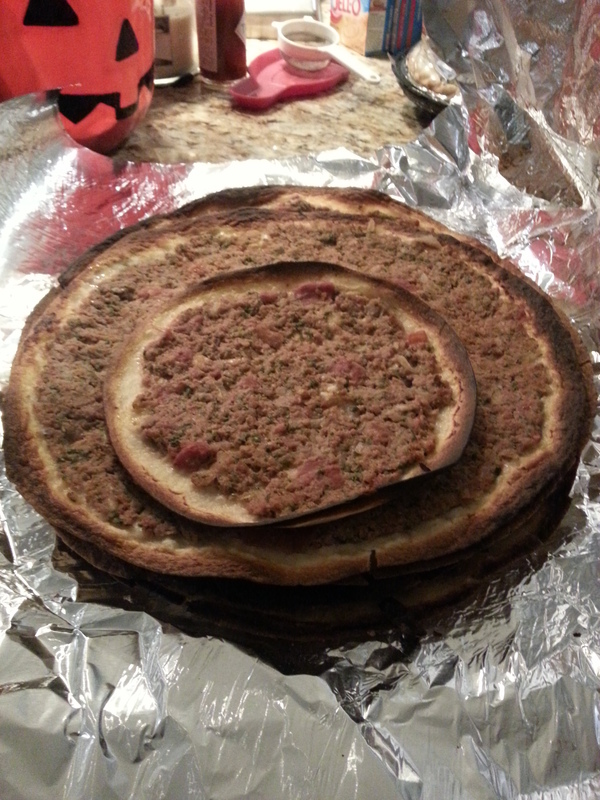 If it’s too thick it doesn’t cook before the flatbread burns, but if its too thin it dries out before the flatbread even cooks. Place on a pizza pan that has lots of little holes in the bottom or directly on your bottom oven rack and monitor…do not walk away. If they don’t fit on the rack together you will have to rotate them half way through. Cook 6-8 minutes or until the edges are well done (I say they are burned, but Chad says that it the way its supposed to be…) and the meat is cooked. When they are done we stack them together in a big piece of foil to keep warm until there is enough for everyone to eat, or you could just serve a few at a time. Pile high with toppings of your choice, roll up like a burrito and enjoy. Why does it take me so long to make one card?? 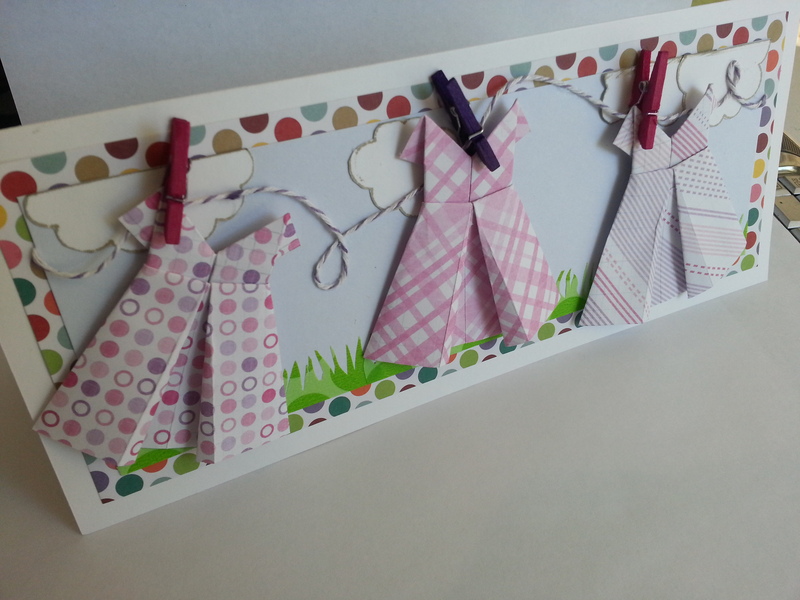 The polka dot paper is my own creation using white card stock 4×6 notecard and the leftovers of the square labels. I took a make up sponge and randomly wiped the Pebble and Sushine Yellow inks into the circles then peeled up the labels…wah la! Polka dot paper in what every color I need. 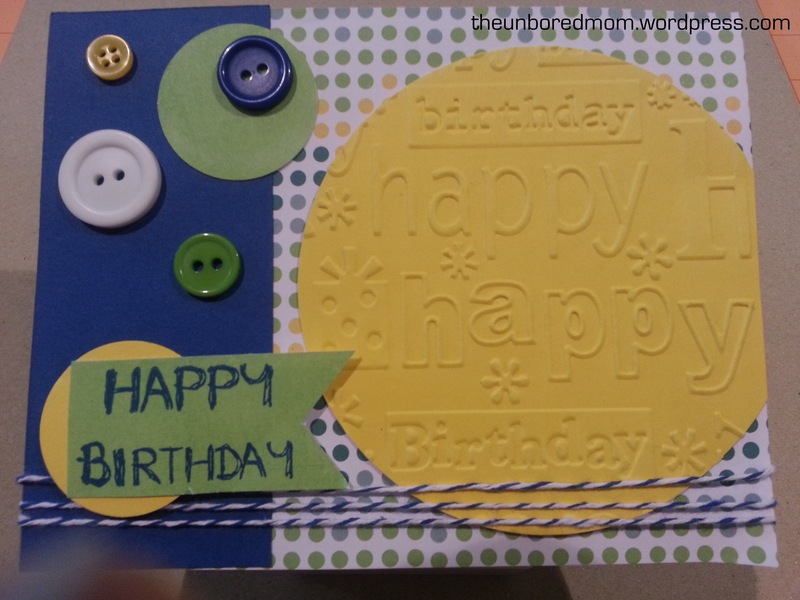 Then I played around with the layout, colors, stamps and sentiment. 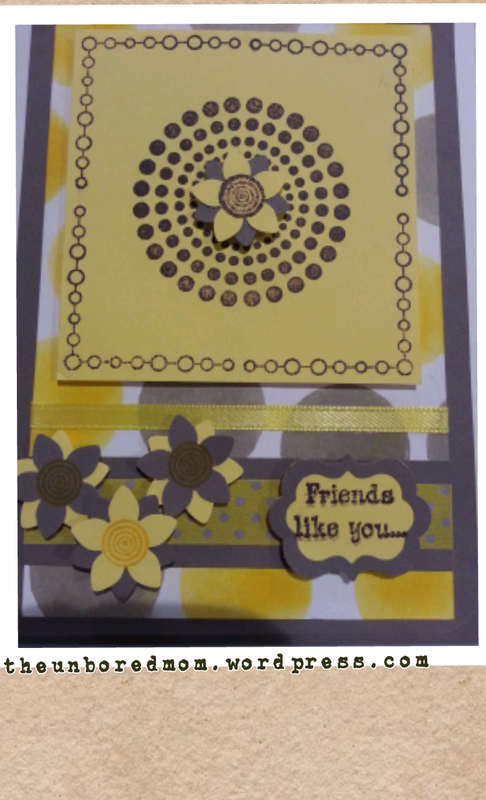 The flowers and sentiment are on dimensionals so they add another layer of interest to the card. I cheated on the big 3 and crafting with the Silhouette Cameo. Michael’s, Jo-Ann’s, and Hobby Lobby…oh what great friends we have been these past few years. But I must confess I cheated on you this weekend, not once, not twice, but 3 TIMES!!! I love the convenience and proximity of these craft supply stores to where I live, but the variety of what they stock doesn’t change very often and isn’t always the most inspiring. The Paper Source does give me a lot of inspiration, but their stock doesn’t change all that often either. I was looking for something different, something inspiring, some place that offers more than just the run of the mill. In order to find these gems I have been reading a lot of blogs lately written by fellow paper crafters and researching the products that they use and talk about. I don’t know why it never occurred to me before to see if there were other stores in my area, but it did yesterday. I discovered 3 stores that are somewhat in my area. 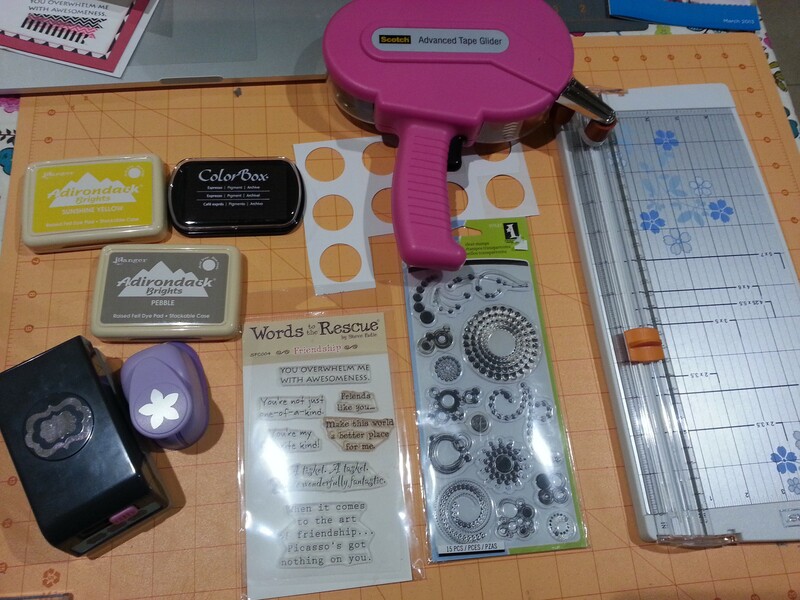 By Design Scrapbook Boutique, Novel Approach and Archiver’s…let me just say that walking in to these three speciality stores was like finding a needle in a haystack. Houston (have I told you I live in Houston, TX) is humongous and everything is a drive, unless you can afford to live in a cute condo/loft apartment in the heart of Rice Village/Heights/River Oaks…which I can not, so I live just outside the city. I spend a lot of time in the city checking out new shops, restaurants, shows, and the like. I love the big city life!!! I grew up in a much smaller town many many miles north of TX, so I enjoy the city and all it offers. She did a good job. We added the little Easter egg decorations on the side as an after thought. They are from a different cut file in the Silhouette store that is a border row of eggs with the words Happy Easter underneath. Inside you can see just a bit of the eggs she colored. Sorry I’ve been away for a bit…. Sorry its been a minute since I last posted. Things have been CRAZY busy and I haven’t cooked a quality meal or done any crafting since the last time I posted. Had to do some last minute traveling and that has kept me from my regular routine. 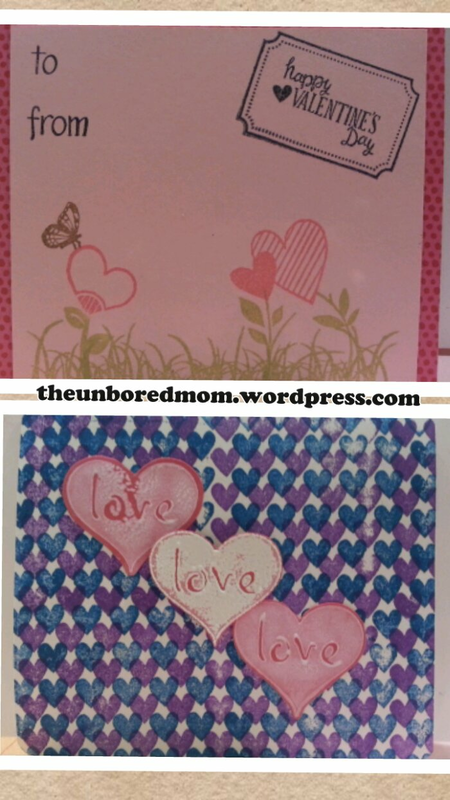 Anyways I wanted to share some of the super cute cards Miss Lily and I made this evening. For a 5 year old I think she did awesome!! 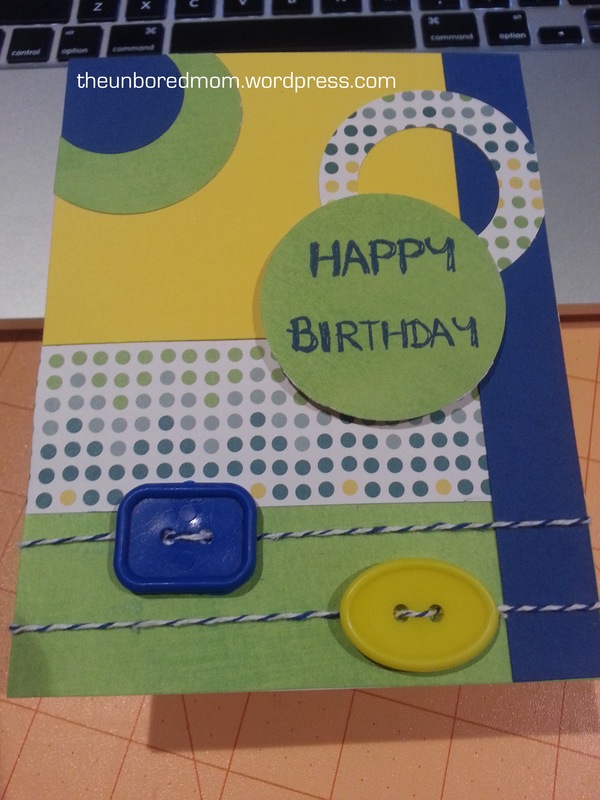 I was there to assist of course but she chose the colors, stamps, stickers and sentiments. I think I have a future genious crafter in the making. Chicken Taco Soup —–YUMMY!!! This recipe originally came from Muscle and Fitness Hers magazine and I came across it during a Pinterest session. I’m trying to watch the carbs and fat so I thought I would give it a go. LOVED IT!!!!! My kids, 5 and 17, loved it too. Hubby is doing no carbs so he didn’t try it. I think when I make it again I will use lean ground beef or ground bison because I like ground meat in my tacos. We topped it with a sprinkle of cheese and then a bit of crushed tortilla chips. Did I already say YUMMY!!! For this recipe I gave up my usual notion to use as many from scratch ingredients as I could in favor of making something simple and quick to feed my girls on an especially busy weeknight. The one thing I changed was that I used italian seasoned ground turkey and made my own meatballs for this because I couldn’t find meatballs that didn’t scare the bejeezus out of me. I was so looking forward to eating these as a little break from the carb counting. I made a nice big salad to go with them to counteract the fatteningness. (is that a word?) We ate our salads while we waited for them to come out of the oven and salivated at the smells they were creating in the kitchen. As soon as they came out I brushed a bit of garlic butter on the tops just for added flavor. Super awesome chocolate chip cookie recipe! I’ve been doing a lot of Pinterest-ing lately, much more than I care to admit actually. Yesterday I ran across this post about these awesome chocolate chip cookies and so I repinned it to make some day. Then miraculously my 5 yr old Lily managed to complete her homework in less than 30 minutes; which normally is at least an hour + ordeal, all 5 sentences. With the extra time on my hands and cookies on my mind I suggested we bake. 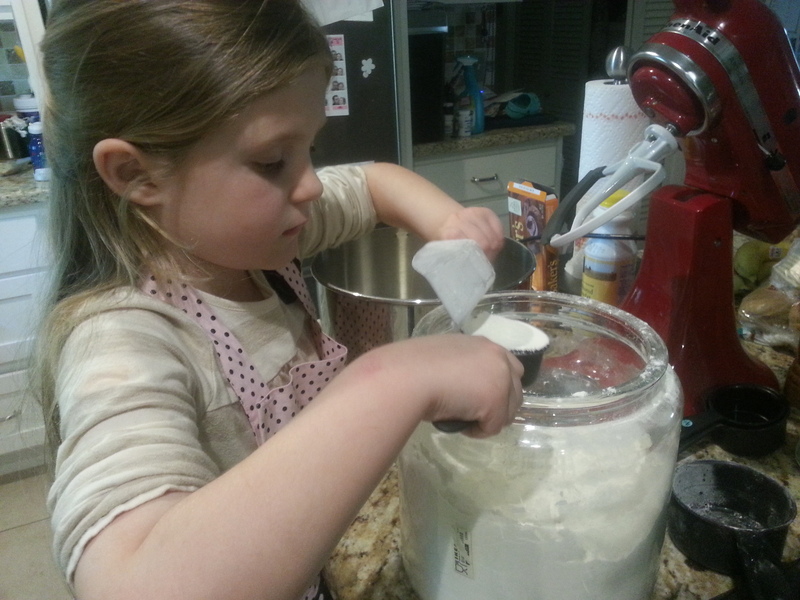 She loves to help cook and I enjoy cooking with her, plus I seriously love chocolate chip cookies. A warm, gooey, chewy chocolate chip cookie is my absolute most favorite desert, hands down, no if, ands, or buts about it!!!!! After retrieving the recipe, scanning the list of necessary ingredients and mixing up the dough I realize, much to our disappointment, that the dough is supposed to sit in the fridge for 24-36 hours BEFORE you bake them. DANG! So…..
Off we went to make some very overdue thank you cards for some of the Christmas gifts Lily received from family far away, not to mention some much needed distraction from the cookie dough we can’t bake…..well…. after a measly 2 hours we (meaning me) couldn’t wait and baked 4 cookies in our toaster oven. If 2 hours in the fridge made them that good I can only imagine what 24 hours will do to the dough. O.M.G. it was good!!! 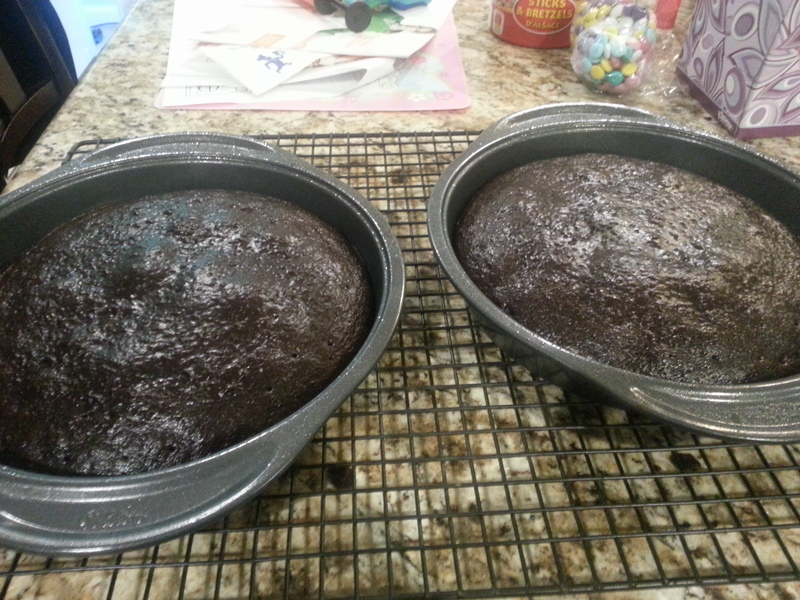 Chewy, slightly crunchy exterior, super chocolatey…Alex, my teenage daughter, said they were the best ones I have ever made. I have tried hundreds of recipes to make them, hundreds! I honestly don’t think I have ever used the same recipe twice. 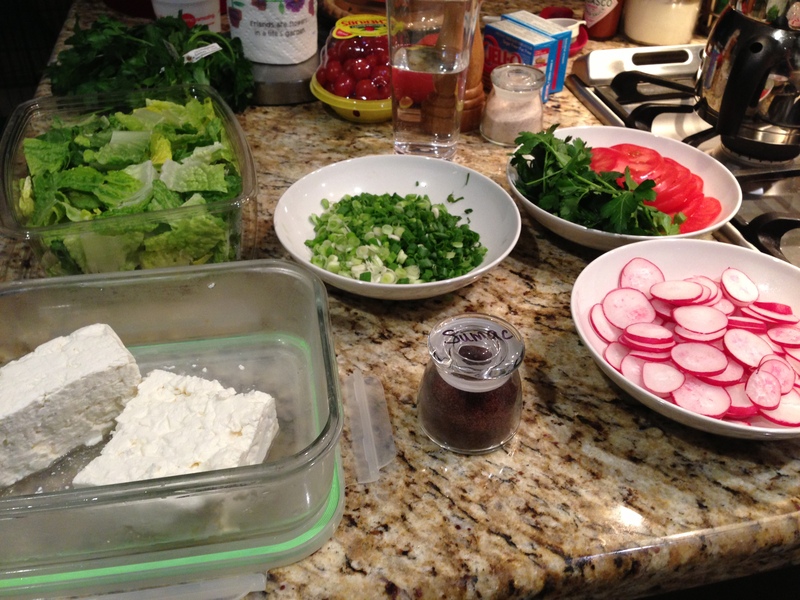 I started the quest for the perfect recipe when I was in my early 20’s, if not before. 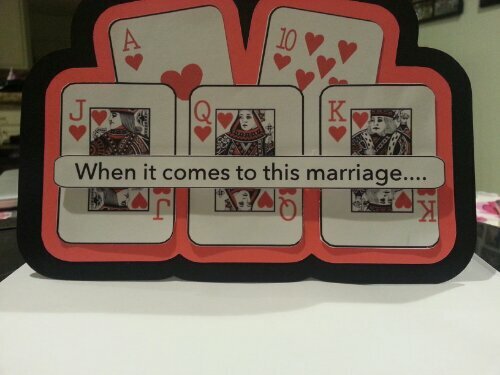 My husband has a regular poker game with his buddies so I thought this card would be something he’d appreciate. I’m not posting what I wrote on the inside because its personal but I use the poker phrase “All In! !” (Get your mind out of the gutter) He loved it! As I knew he would :). 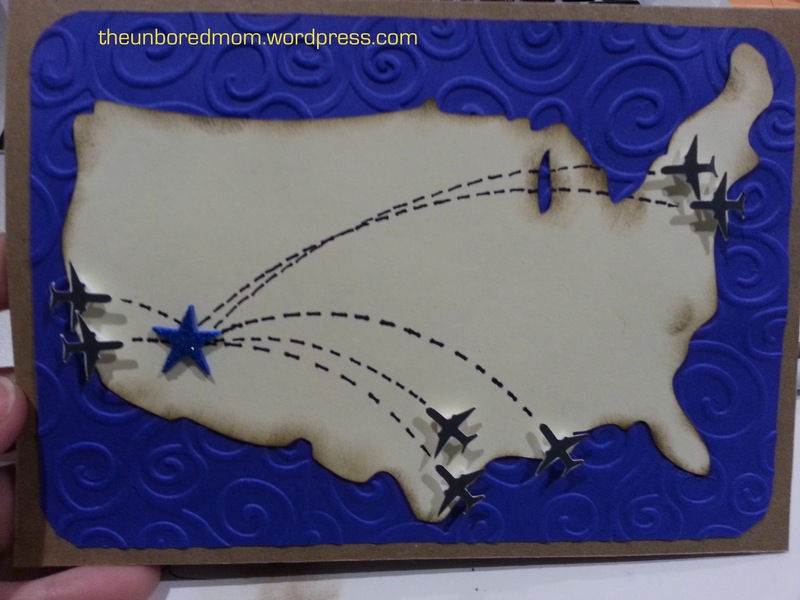 I used my imagination, Silhouette Cameo and colored cardstock.